Jhonny Peralta hasn’t played a game for the St. Louis Cardinals since April 15th. That’s four days for $10 million dollars to sit on the bench unused and all but forgotten. That’s a pile of discarded cash that even the revenue-rich Cardinals can see from the owner’s box. The match-up Wednesday against Gerritt Cole and the Pirates was supposed to favor him. After all, he is 7-for-23 in his career against Cole, and Greg Garcia, his recent replacement, was shifting to shortstop to give Aledmys Diaz a much needed break. But Mike Matheny – almost certainly guided by John Mozeliak’s “pep” talk Monday – went with Jedd Gyroko instead. To say it another way, the Cardinals’ manager chose to play two bench players on the left side of the infield rather than play a high-priced, veteran infielder. That decision sent a clear message to anyone within earshot. If Jhonny Peralta isn’t going to start against a pitcher he normally hits, a pitcher that typically gives the Cardinals fits, on a day when St. Louis’ All-Star shortstop gets a day off…then what role could he possibly fill for this team? The answer may simply be, none. 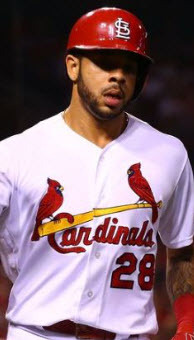 But that presents the Redbirds with another problem, one that’s much harder to fix than benching an ineffective player. They desperately need an every day third baseman. 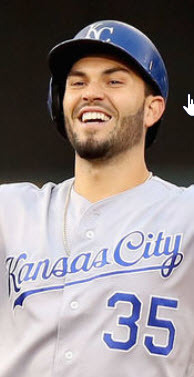 Greg Garcia is a useful ballplayer, and I’ve advocated for more playing time for the young utility player, but a starting MLB third baseman he is not. For one, he doesn’t have the power profile. Among 11 qualified National League third basemen in 2016, the average batsman hit between 21 and 25 home runs and slugged between .450 and .493 (Matt Carpenter hit 21 homers and slugged .505). 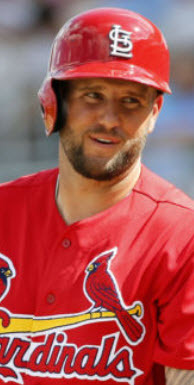 Greg Garcia has never hit more than 10 home runs in a single season in the minor leagues or slugged better than .420, both in 2012 for the Cardinals’ Double-A affiliate in Springfield. For his minor league career, it took him most of seven seasons to amass 27 total home runs and an overall slugging percentage of .364. In general, that’s okay. Garcia’s never been a power hitter and he never will be a power hitter. It’s not who he is. It’s not his game. And in a different year, on a different roster, maybe that plays. 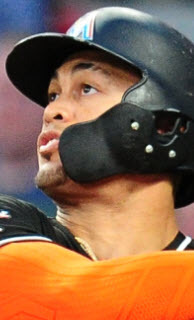 In fact, Martin Prado played 153 games for the Miami Marlins last season, all but three of those at third base, and he only hit eight home runs to go with a .417 slugging percentage. However, what Prado did do well was hit (.305) and get on base (.359). Garcia also does both of those things well. His career batting average in the minor leagues was good at .281, and his final on-base percentage was excellent at .380. Both of those trends have continued against major-league pitching (.262 AVG, .380 OBP). But then, that brings up the second reason the Cardinals cannot settle on Garcia at third base. They already have on-base guys. Most would say two of the best in Dexter Fowler and Matt Carpenter. What they need is a power hitter to boost their NL-worst .334 slugging percentage. With Stephen Piscotty and Randal Grichuk yet to hit their strides, and former middle-order bat Matt Holliday playing in pinstripes – and playing well, I might add – the St. Louis lineup is left without a clear clean up hitter. They tried Peralta. That didn’t work out. Then they tried Matt Adams and one or two others. For the most part, they all failed as well. Other than Piscotty, none stuck in the four spot for more than a game or two. And even Piscotty can often look like a size five bat shoehorned into a size four hole. That leaves a stagnant St. Louis offense searching for a consistent power threat, preferably at their most fluid position – the only infield position without a current or potentially future All-Star – third base. Many have suggested that search quickly leads to Wednesday’s starter at third, Jedd Gyorko. From a power perspective, the pick makes sense. Gyorko’s done nothing in his career if not hit for power. In fact, he led the Cardinals in home runs with 30 a year ago despite logging just 400 at-bats. He’s off to a similar start this season with two home runs and a .483 SLG in just 29 at-bats. Based on those seasons and the three before them in San Diego, Baseball Reference calculates his 162 game average at 26 home runs and a .419 slugging percentage. Such hypothetical numbers would rank fifth among 2016 NL third basemen in home runs and ninth in slugging percentage. Maybe the Cardinals could live with that. If most players play out their projections, that would give them five players with at least 20 home runs (Diaz, Piscotty, Grichuk, Carpenter, and Gyorko). What they lack in single-source, elite power they would make up for in socialist diversity. Share the load, so to speak. The problem is, the Cardinals’ brass – and maybe the Padres’ before them – don’t seem convinced. With an unusually hefty contract, Gyorko was moved in a deal for fourth outfielder Jon Jay soon after his age 26 season. The Cardinals then immediately fitted Gyorko for a bench role he’s retained despite a 30-home run season and a 2017 year that promises a $3 million dollar raise at season’s end. After 2018, he’ll get another $4 million dollar raise before enjoying the luxury of a $1 million dollar buyout if the Cardinals choose not to exercise his $13 million dollar option in 2020. Those kind of numbers typically pressure teams to push a player into every day status. But not the Cardinals, and not with Gyorko. Instead, they’ve continued to play Kolten Wong ahead of him at second base and Greg Garcia ahead of him at third. Even career minor leaguer Jose Martinez is getting priority at-bats at first base, a position Gyorko’s played 13 times for 68 major-league innings. His career .238 batting average and .296 on-base percentage. Such numbers are Todd Frazier-like, the Home Run Derby champion who hit .225 with a .302 OBP to go with an elite-level 40 home runs. But even Frazier twice hit .273 with .336 and .331 OBPs before focusing exclusively on power. Gyorko has never hit better than .249 or posted a higher on-base percentage than .306. Those are not the numbers of a middle-order hitter. And yet, short of moving Matt Carpenter back to third base and merely shifting the search for a hitter across the diamond to first base, that exhausts the Cardinals in-house options. Unless they’re willing to look at Triple-A. Through their first 14 games, the Memphis Redbirds are deploying two third basemen hitting above .300 and slugging better than .450. Patrick Wisdom and Paul DeJong. DeJong – pronounced DUH-YOUNG – is the more polished player, striking some in spring training as ready to play multiple positions in the major leagues right now. With a .313/.327/.458 line and one home run, his bat plays across the spectrum. He can hit for average or drive in runs with surprising power. His 22 home runs in less than 500 at-bats for the Springfield Cardinals a year ago opened more than a few eyes and vaulted him onto the unofficial “next man up” depth chart. But Patrick Wisdom – he’s the A-list name to know, the thunder-charged bat capable of changing the way a pitcher approaches his little neighborhood in a batting order. And he’s having an even better start to the season than DeJong. In 13 games and 46 at-bats, Wisdom’s line of .326/.385/.522 and one home run is more than exciting – it’s enticing. He’s a hitter with power John Mozeliak recently compared to Todd Frazier, and a swing Mike Matheny likened to former Cardinal All-Star Scott Rolen. 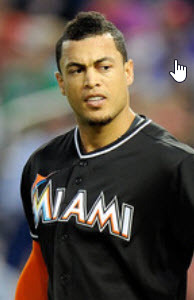 Hampered early in his minor league career by contact issues and more recently by a hand injury, Wisdom appears to be unhindered by either malady in the first weeks of April, or February or March for that matter. And to sweeten the pot, he may be the best defensive third baseman in the organization, including the roster in St. Louis. That description fits a prospect who proved to be the only draft pick among three early round third basemen selected by St. Louis in 2012 capable of remaining at third base. You know the other two – catching phenom Carson Kelly and Cardinal right fielder Stephen Piscotty. But Wisdom’s high upside comes with considerable risk. In five previous seasons in the minor leagues, Wisdom’s career average sits below .240, and his strikeout totals are…impressive. Calling him up to face major-league pitching now, just when he seems to be putting it all together, could significantly stunt – and possibly ruin – his development. 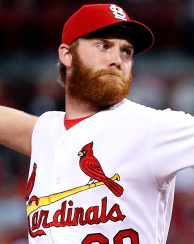 Ideally, the Cardinals could leave Wisdom in Triple-A for a full season to continue fine-tuning his offensive approach. But Peralta’s impending demise may not give them a choice. 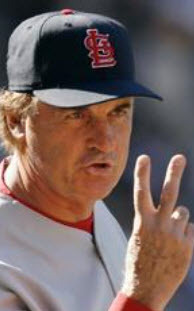 And to be honest, the Cardinals need to know what they have in Wisdom soon. If he can’t provide a realistic third base option for the future, the St. Louis front office will look to commit some of that shiny new TV money to an elite third baseman from outside the organization, a player that can finally satisfy their lingering search for a “core player” type roster addition. Names like Manny Machado in Baltimore and Nolan Arenado in Colorado immediately come to mind. Of course, neither of those options will move this season if the Orioles and Rockies remain in contention for a playoff spot. The mind-boggling cost in prospects for players at the mid-season trade deadline is sure to be prohibitive as well. 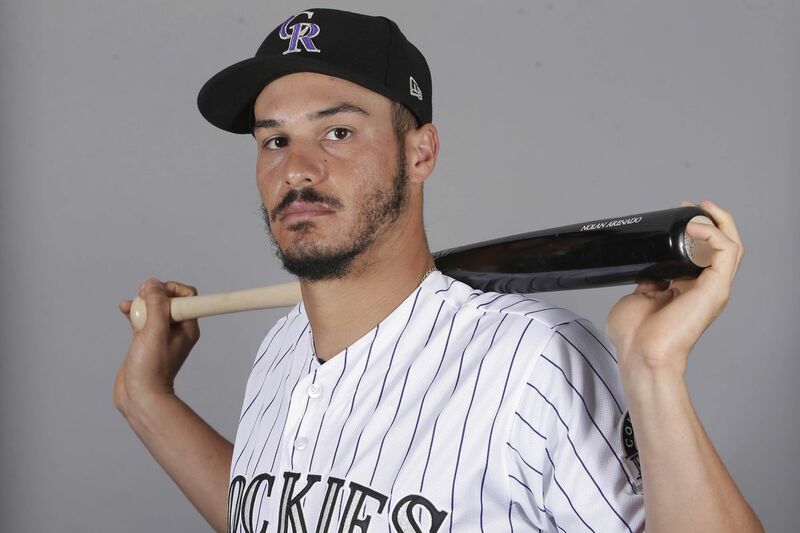 Both players have much-coveted years of control remaining, and in Arenado’s case, he’s recently been called the best player in the National League. It’s questionable whether the Cardinals even possess the prospect assets to compete in what would surely be a shark-infested bidding war. Mozeliak could always set his sights lower, going after second and third-tier hitters like Frazier with the rebuilding White Sox. But why spend prospects you may need to acquire an elite talent later when you already have the likes of Jedd Gyorko and Wisdom under control for the foreseeable future? It makes more sense to give Gyorko a shot while Wisdom continues to develop, stalking the third base situation in St. Louis from the tall grass in Memphis. Sooner or later, he’ll get his chance to pounce, booming bat in hand. The only question now seems to be how long will the Cardinals let Jhonny Peralta limp along behind the rest of the herd before putting him out of his misery? The necessary assets are in place. It’s time to let Peralta go and give the younger guys room to run.